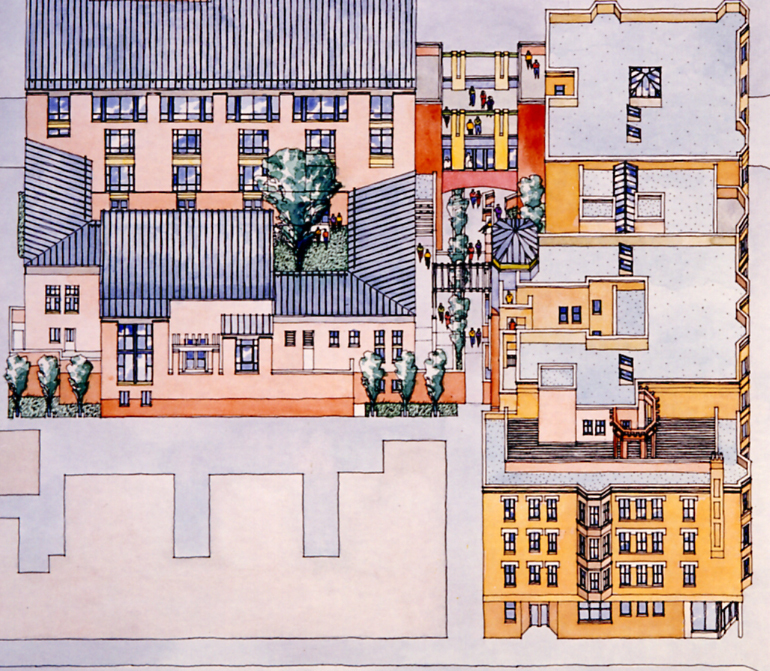 On an “L” shaped site with six existing townhouse apartment buildings, the program called for up to 70 units of housing for people with and without AIDS. 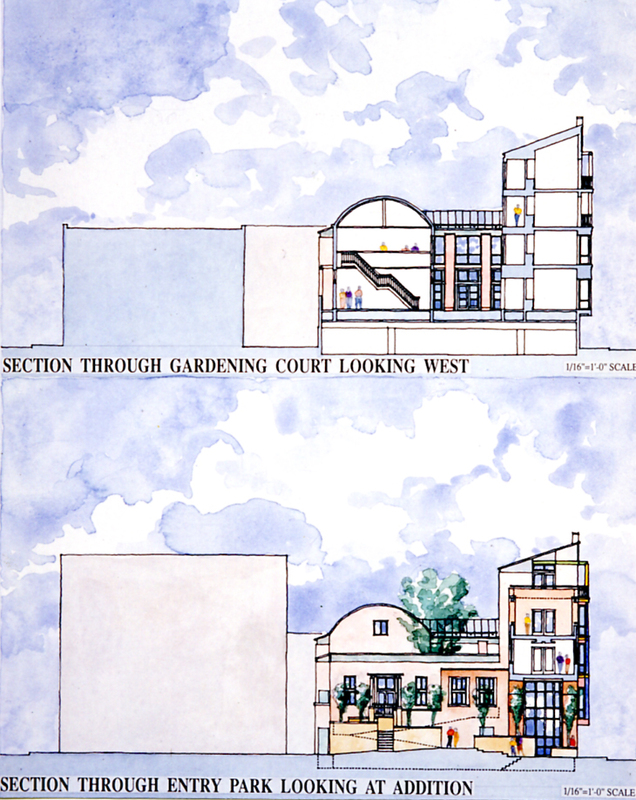 Our design approach was to completely reuse and renovate the existing buildings as housing for people without AIDS and to build a new courtyard around a public garden for those with AIDS. These two buildings would then be connected, physically and symbolically, by a community room and terrace on the third and fourth floors respectively. Two lower levels of the existing townhouse buildings are left completely intact, both structurally and functionally. Existing commercial functions at the ground floor and walk-up living units on the second floor will continue to provide an urban presence to the frontage street. Upper floors of these buildings will be rearranged around a new corridor which jogs, widens, and emerges from within the existing structure. The new building, which contains a dining hall, laundry room, nurses stations, administrative offices and parking, will be arranged around a series of three courtyard zones: a hard court for outdoor dining or activities, a gardening court, and a contemplative court.